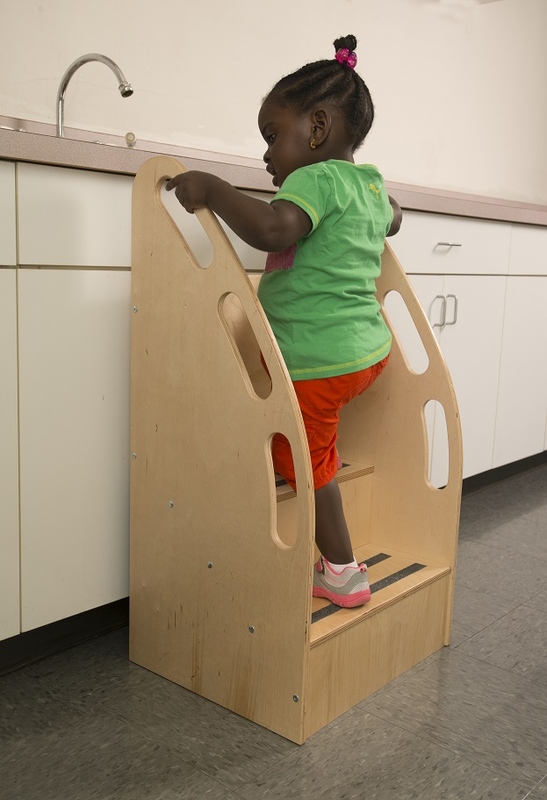 Perfect for the younger, not-so-tall stepper, this stool's high back and sides provide extra support for leaning against counters and helps to prevent mis-steps. For added safety, each step is trimmed with non-skid treads and all edges are rounded and smooth. Ships ready-to-assembly by UPS or Fed Ex Ground. Made in the USA. Greenguard Certified. Lifetime Warranty. 16in. × 19in. × 35.5in.